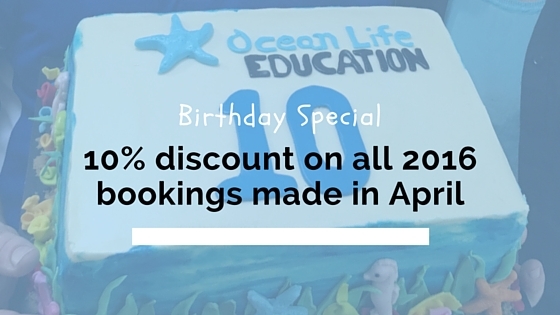 As you may have seen, we’re celebrating our 10th birthday here at Ocean Life Education. Some of you have been with us since the beginning, some of you are still only experiencing our programs for the first time this year. Either way, we want to say thank you for inviting us into your classroom and incorporating education for sustainability as part of your curriculum. So let’s celebrate! Book your 2016 program with us during April and receive a 10% discount. That’s any program – school, early education, vacation care, event, birthday party – any time this year. Book your incursion by 30 April 2016 and mention this offer! We look forward to bringing the sea to you! 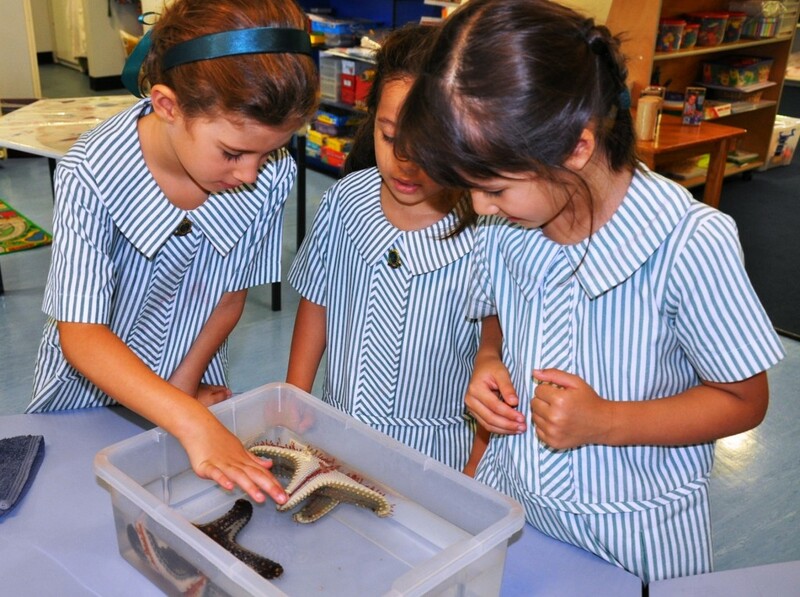 This entry was posted in Promotions on April 7, 2016 by oceanlifeeducation.